I was given the CD Sundowser from a friend with very little information shared about it. Coincidentally I was also going to Idaho for the weekend so I popped it in the van’s CD player and took off down the road. 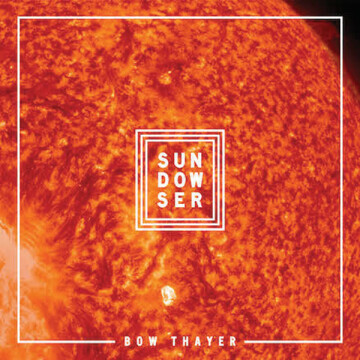 It turns out Sundowser is the new solo album from Vermont based musician, Bow Thayer, and is nothing short of exceptionally put together from the start to finish. Consisting of twelve tracks of varying mood, feel, and complexity the album comes together into a cohesive listen which will surely please the most outspoken music aficionados. The first track titled Burning Miles seems to be a dialogue about travelling or moving around, meeting new people, and the things you see along the way. It is a perfect fit for the start to a drive into the mountains where we are heading. 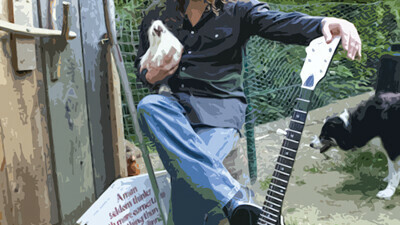 The funky bouncing rhythms of the third track So We Build takes the album in a new direction. With a modern rock sound and a number of interesting and dynamic parts bringing the song up and down and then into a psychedelic solo section with spacey overtones and feel. At first I was not sure what to think, but it has grown on me and now seems to be a stand out. Another great song from a pop standpoint is track 8 titled Drug Lust. Something about this track says Tom Petty to me and I mean that as a compliment. It is one of those songs that’s beauty is in it’s simplicity. With a call and repeat chorus I can see all the girls singing along in the bar, and who wouldn’t want to have that? I highly recommend picking up a copy of Sundowser at: bowthayer.com or go to Cactus and have Bueno and the team order you up a copy. Hopefully Bow or his band Perfect Trainwreck will make it to Bozeman soon. When they do, I know I wiil be there to hear them play these songs live for us. Art Director and Music Editor. Brian also runs a sound & lighting company, and plays a lot of nintendo with his six year old son.